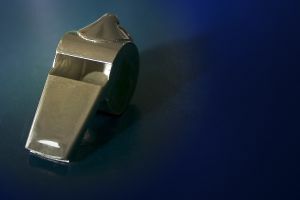 There will soon be a Whistleblower Protection Advisory Committee, according to the Occupational Safety and Health Administration (OSHA). This new committee will be in charge of advising, consulting and making recommendations to the Secretary of Labor on various ways to help to improve the effectiveness, efficiency and transparency of the administration’s whistleblower protections. Whistleblower services offer protection to workers who speak out about work-related hazards and dangers. All too often, employees are hesitant to speak out about dangers they observe on the work site. Many times they fear being let go or suffering some kind of punishment for speaking out. The truth of the matter is that any sort of retaliation against employees is unjust and illegal. Employees are urged to speak up about work hazards to help to reduce the risks of work-related accidents in Boston and elsewhere. “Workers who expose…workplace safety hazards have a legal right to speak out without fear of retaliation, and the laws that protect these whistleblowers also protect the health, safety and well-being of all Americans,” said Dr. David Michaels, assistant secretary of OSH. Our Boston workers’ compensation attorneys understand that a federal advisory committee is an excellent way to strengthen protections for whistleblowers. It’s important for all kinds workers to feel comfortable speaking up about work-related dangers. These workers also need to be protected and should be encouraged to speak up about these kinds of concerns. Awareness is key in preventing work accidents. Retaliation, including being fired, being demoted, being passed over for a deserved promotion or any other sort of unfair treatment as a result of safety concerns is in fact illegal and can result in punishment and can require compensation to the victim. What exactly will the Whistleblower Protection Advisory Committee do? -Helps out OSHA officials with the development and implementation of improved customer service models. -Helps to enhance the investigative and enforcement process, regulations, training and governing of OSHA investigations. -Helps to advise OSHA in cooperative activities with various federal agencies. These federal agencies are responsible for issues that are covered by the whistleblower protection statutes that are currently enforced by OSHA. Through the various whistleblower provisions that have been enacted by federal officials, companies are prohibited from making any kind of retaliating acts against those who speak out about safety concerns on the job. If you feel that you’ve been retaliated against under these conditions, you’re urged to contact an experienced attorney and to file a complaint under OSHA’s Whistleblower Protection Program. The Boston workers’ compensation lawyers at the Law Offices of Jeffrey S. Glassman, LLC are dedicated to fighting for the rights of injured workers in the state of Massachusetts. If you or someone you love has been injured or killed in a work accident and would like to file a claim, call today to set up a free and confidential appointment to discuss your case. Call 1-877-617-5333.